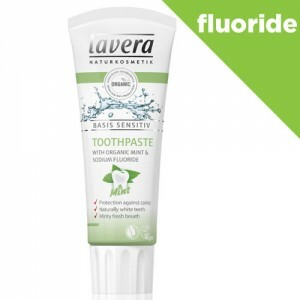 Organic toothpaste with fluoride for sensitive teeth and gums and exposed root surfaces. Removes plaque thoroughly yet gently and is formulated with ingredients especially chosen to minimise abrasion to help maintain the enamel on your teeth. 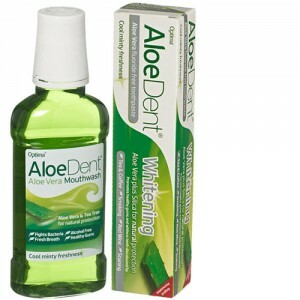 Contains non-irritating organic myrrh, chamomile and witch hazel to help maintain the oral flora and strengthen the gums. All Lavera products are free from SLS, mineral oil, parbens and synthetic colour or fragrance. 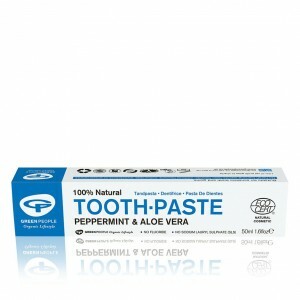 This toothpaste doesn't taste minty like most toothpastes it tastes a bit herbal but not unpleasant. It cleans well, it is a bit soon to say if it helps my sensitivity. I think my mouth doesn't feel so dry when I wake in the night. Aqua, Sorbitol, Silica, Xylitol, Maris Sal, Xanthan Gum, Betaine, CI 77891, Disodium Cocoyl Glutamate, Sodium Cocoyl Glutamate, Algin, Chamomilla Recutita Flower Extract*, Foeniculum Vulgare Fruit Extract*, Hamamelis Virginiana Flower Water*, Myrtus Communis Leaf Water*, Menthol, Sodium Fluoride, Aroma**, Limonene**, Eugenol**. * ingredients from certified organic agriculture, ** natural essential oils. Brush carefully twice a day. For children under 6 years of age use a pea size amount for supervised brushing to minimize swallowing. If you take fluoride from other sources please consult your dentist or doctor. Are there hidden horrors in your toothpaste? Myrrh, camomile and witch hazel are contained within this product from German natural cosmetics company Lavera. 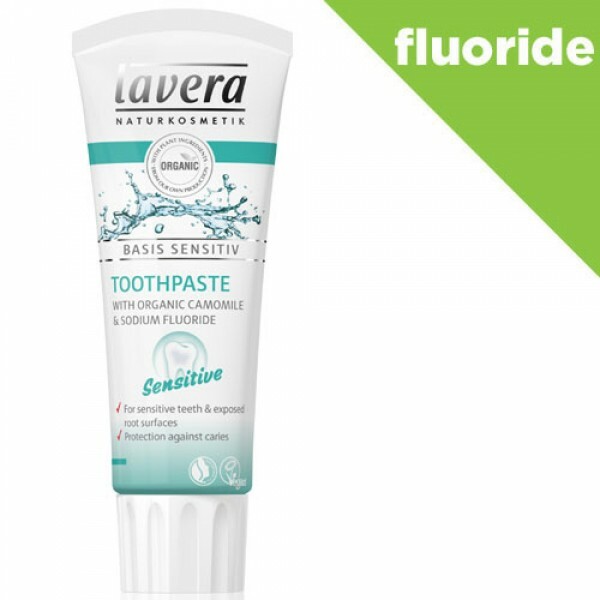 No nasties but it contains fluoride to help protect teeth from cavities. It offers a great clean with minimal abrasion. The Daily Mail.